File Types: PNG,EPS,All Files; File Size: 15.04 MB; Requirements: Adobe CS1+; Layered: Yes; Vector: Yes; Dimensions: 1024 x 1024 px. - Line Chart Statistics 20 PNG File Sizes. 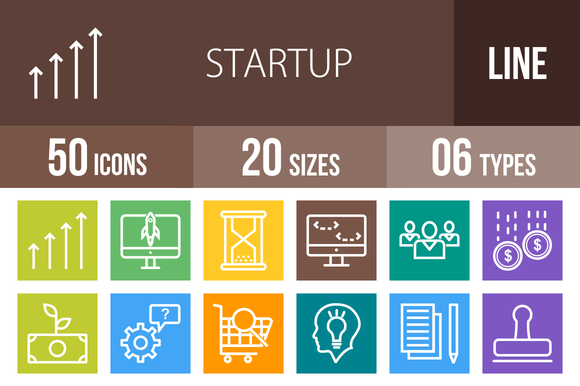 Keywords: growth icon, launch icon, funding icon, timer icon, contact icon, web design icon, web application icon, target icon, code icon, employees icon, business icon, invest icon, planning icon, product icon, profit icon, mission icon, support icon, idea icon, market research icon, ecommerce icon, office icon, conference icon, notes icon, networking icon, configuration icon, brainstorming icon, stamp icon, iconbunny, line icons, colorful icons.